I met Ian Grant at this past year’s Rocky Mountain Audio Fest. He and his lovely right hand Rachel Zhang took such pity on me because I had no voice, thanks to a bit of recent surgery. They were incredibly patient and answered all of my questions without the slightest hint of being flustered, despite the fact that they could barely hear me. I had been speaking to them about reviewing some products for my old magazine and when I made the switch to Dagogo they were elated that I was still interested in reviewing their products. The folks at Grant Fidelity have years and years of experience working with tubes. 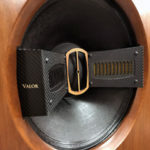 When I first visited them I was struck by the beauty of the products they were producing, and more importantly, by the quality of sound that I was hearing. After all, what is a pretty face without a stunning personality to go along with it? It turned out that the pretty face was also capable of enticing me with exquisite charm and character. When I found out the price points, my jaw nearly dropped. Here was high quality tube gear at what amounted to very low prices. They have an interesting offering of integrated tube amps, several solid-state integrated amp, tube CD players, power conditioners, cables and even speakers, not to mention some pretty tricky tube processor for guitarists like me. No, scratch that. They are for guitarists with talent! The company also package full front-end systems at considerable savings. That is the focus of this review. I personally like the one-stop shopping this company affords the audiophile. The great news is that Ian and Rachel have already assembled packages of components that mate well to each other. This saves a lot of heartache and expensive trial and error down the road trying to get a symbiotic relationship going between various components from different manufacturers. Let’s start with the A534 Integrated amplifier. This is a beautiful piece of engineering, the aesthetics are first-rate all the way. The amp is sizeable and weighs in at 28kgs or roughly 62 lbs. It is not a flyweight by any stretch and the layout makes for a very impressive look at any price. Solid and stout and seemingly carved out of a single block of aluminum, it really catches the eye. The tube compliment takes up the right two thirds of the chassis, and the transformers the left one third. The brushed aluminum looks classy and the matching tube cage adds some safety if you have small little hands or curious animal noses that go poking around your gear. The cage also allows for the unit to vent heat and run relatively cool. The front panel has controls for the volume, four inputs and a ¼ inch headphone jack. There is also a very large digital display for the input that you are currently using that lights up in red. One suggestion I can offer at this point is to make that display blue. It would add so much to the ambiance the amp provides in a darkened listening room. All in all this is a very handsome unit and compact in size compared to some other integrated tube amps I have seen in my days at 23 in × 19 in × 16 in. It also comes with a very heavy duty remote control that works with great fluidity and feels very good in the hand. Richard Austen has already reviewed the flagship Rita 880 in a previous issue of Dagogo and gave it very high marks, that left me with very high expectations of the A534B. So I guess the next logical question is, “will the A534B work just as well in my system; does Grant have those bragging rights?” Well in the short of it all, the answer is yes and then some! The sound is pure magic! Of course, 300Bs are known to sound magical, that is the allure of them and in the Grant Fidelity A534B there was no disappointment. 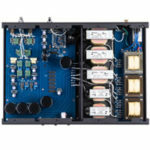 The stated power output is 10 watts per channel minimum in pure class A. No surprise there, 300Bs are not known for high output. The amp has outputs for 4 and 8 ohm loads and the stated frequency response is 5Hz to 50kHz (-2dB) at less than 1.5% distortion at 6.5 watts. The tube compliment is comprised of 2 x 300B, 2 x EL34B, 2 x 12AX7 and 1 5UG4. There is nothing out of the ordinary or overly impressive about the specs, you can find similar specs on many 300 B amps. What you will not find is this level of build quality, this array of tubes and the “magic” of 10 watts per side of EL34-driven 300B sound at $1966! I utilized this integrated amp with my own Cary CD player, 3 pairs of speakers, two turntables and an iPod via the Wadia 170 iTransport to see just how it would sound in different formats. Suffice it to say that it sounded gorgeous within the operating restraints of 300Bs. What that actually means is that if you do not understand the strengths and weakness of 300B tubes putting out 10 watts per channel, then you might find yourself a bit disappointed. In essence, this amp will not give you the slam and scale of a compliment of KT88 tubes or 211 tubes. What it will provide you with is some of the most lush and easy to listen to musical reproduction, and when it comes to vocals or anything else in the midrange area, nothing and I mean nothing can quite beat it. On the other hand, while Grant Fidelity claims that it will drive most any speaker, I do take a bit of exception to that. While it will no doubt drive any speaker, the question is will it drive that speaker to satisfying levels? This has always been the chink in the armor of flea weight amps. This is not a criticism by any stretch but rather a straight forward statement of fact. No matter how you slice it 10 watts is still 10 watts. 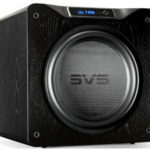 An 86-88db sensitive speaker will certainly be driven but not with the same authority that 50-100 watts per side would drive the same speaker any more than 50-100 watts would deliver the same performance as, say 200 watts per side will give you. At the end of the day, careful mating of speakers is still essential and the A534 certainly performs more satisfyingly driving 90 plus dB speakers. Mated with a pair of Usher 6311 speakers at 87 dB sensitivity, the sound was great but there was not enough drive from it to get any satisfying level in my large room, amidst cranking it up past three quarters and still finding the sound level wanting. However, when mated to the Audio Electronic Q5s which are a transmission line speaker at 92dB sensitivity, things began to absolutely sing at a much more satisfying sound setting! In using Keb Mo’s “More Than One Way Home” off the Just Like You CD (OKeb/epic – EK67316), the A534B mated to the Ushers provided very smooth vocals but little in the way of authoritative bass, which the song has much of. Mated to the Q5s the bass suddenly appeared and it did so with slam. If you have a small room, a less efficient speaker may work but I would definitely try the amp with speakers above 90dB to get the most satisfaction for the buck. One thing Ian had suggested was for me to listen to the A534B as a headphone amp. When you look at what is out there in the way of headphone amps and the cost, it actually makes sense to look at the A534B for anyone who wants serious sonic quality from their headphone amp. I can think of a couple of headphone amps in the $1000 range that do not employ 300B tubes. If I were a serious headphone user (I am not, but I think I could be persuaded) this unit would be high on my list to audition for that purpose. I had long since lost my last pair of Sennhieser headphones and found myself shopping for a new pair just for this review. After a great deal of comparing I settled on a $200 Grado 225. Not the best headphone on the market but it is hard to fault them and they are relatively affordable especially if you don’t listen to headphones very much (I don’t, but that may change). They came with a 1/8 inch adapter so that they can be used with portable devices such as an iPod. So, if you listen to an iPod now, which I do, more than I should, then they are actually a killer bargain for that application. As for the A534B as a headphone amp I found myself listening more and more in this way after my 225s arrived. Paula (my wife) really appreciated this and now I could listen deep into the night, when it is the quietest and when I can really relax. The A534B turned out to be so gracious and inviting that I really hate to see it go; perhaps I will add myself to the list of those who use it as a headphone amp. If you have a small space and are in need of a great little amp and you have relatively efficient speakers, this is a great solution and an amp you could listen to for years without ever feeling the slightest bit of desire to have something more powerful. Overall, the A534B provided a superb level of articulation and soundstage, even at low levels. The highs were very smooth without any sudden or sharp roll off but with a totally natural sound totally lacking in any grain or edginess. The midrange is to die for and is smooth in a way that defies description. The naturalness of the human voice is astonishing. One of my favorite songs of all time is “Somewhere Over the Rainbow” and without a doubt my favorite rendition (and I have quite a few renditions of this song) is the late and oh-so-great, Eva Cassidy’s version. I have listened to this cut at least 1000 times either on vinyl or CD. Through the A534B, the vocals on this song were devoid of any sense of artificial articulation. Not overly warm or lush. It was simply like having her sitting in front of you on a stool, guitar in hand singing to you and only you. Call it the “goose-bump factor”. Bass is still a weak link of the 300B tube when in a 10 watt configuration. It was not lacking, just not as tight and controlled as with a solid-state amp or a high-powered tube amp; it did not affect my enjoyment of the unit one bit. When using headphones the bass was not an issue at all. 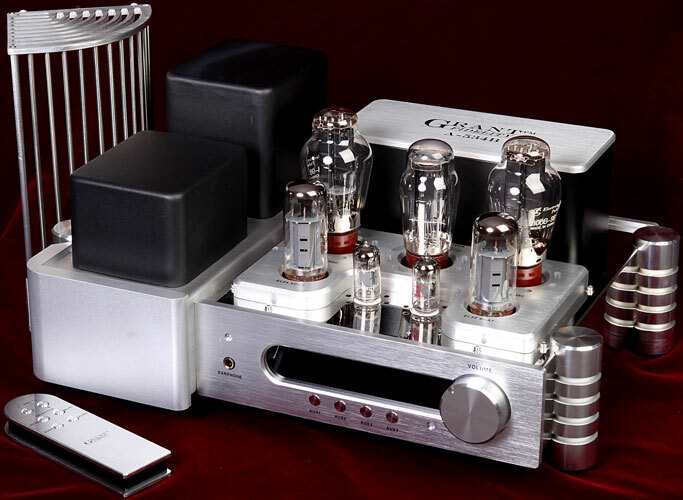 The CD-327A Up-sampling Tube CD Player is a tube-stage CD player, also very impressive unit in fit and finish. My sample arrived at the hands of FedEx with a slightly out-of-whack CD tray that would not close all the way without a little nudge. I contacted Rachel who quickly provided me with an easy and efficient solution and it was never a problem again during the time it was here. This unit is nothing spectacular from the looks, but it is sleek and looks well made. My unit was in the all-black finish. One of the more interesting features of the unit is the custom programmed Bur Brown 192/24 bit DAC chip, and the up-sampling can be defeated directly from the remote control, which by the way is a great piece in and of itself. The user is afforded the option of selecting sampling frequencies of 44.1 kHz, 88.2 kHz or 176.4 kHz. This will allow you to choose the sonic flavor that sounds best to you. The tube compliment is comprised of two 12AX7 tubes and the unit uses French Solen output capacitors. The player uses a Sony 213Q pickup with a Phillips SAA7824 servo. At critical points, MCAP, Solen and ELNA components are used. Amplification is provided by the Burr Brown OPA2604 which is known for its smooth sound and wide frequency response. The unit also has a coax digital output and one set of analog RCA outputs. Stated specs are frequency response of 20 Hz to 20 kHz (+/- 0.05dB) with a THD of less than .005%. It is compatible with CD, HDCD, CD-R and CD-RW. Dimensions are 17.5 inches wide by 13.5 inches deep and 4 inches tall and weighs in at 24 pounds, a very tidy package. As for the performance of the unit? Well let’s just say I am going to miss it. This unit was a very nice surprise and may well be the best CD player around for under US$1000; it really gave my Cary Audio unit a run for the money at about 40% of the price. Of course, the Cary unit plays DVDs but that is beside the point. Unlike some other tube driven CD players I have listened to, it really produces very open and pleasurable midrange and high frequencies. The unit was also extremely quiet. I have heard a number of CD players in this price range, I mean I have really heard them whirring and making all sorts of mechanical noise. This player is quiet as a mouse and the build quality belies its price. Overall, it matches the A534B in quality and bang for the buck. When inserted into my reference system in place of the Cary unit, the most notable thing was that it was a bit lusher and warmer. The good news is that it was not a bad thing, just different. Some of the sparkle from steel guitar strings was muted by comparison especially on tracks like Nils Lofgren’s “Keith Don’t Go” from the Nils Lofgren Acoustic Live CD. After a while listening to the CD327A, I barely noticed it. There is the S.A.I.D. principle in action. Your body adapts to Specific Adaptation of Imposed Demands. Both of the main players worked exceptionally well and made for a beautiful partnership. But wait there’s more! Yes, if you act now you will receive a power conditioner, a set of interconnects, speaker cables and some spiffy power cables! Once I had become familiar with the system as a whole I began to play around with the power conditioner, power cables, interconnects and speaker cables in my reference system. I am currently using XLO Signature cables and power cables, these are some of the best cables on the market and they are being reviewed. The XLOs and the power conditioner arrangement I have were completely removed at one point, and I substituted some run-of-the-mill replacements and listened to the system for a few day in this fashion. The sound really became fuzzy, lacking definition and clarity compared to when the XLO cables were in place. I then plugged in the two PC-1.5 Performance Power Cables into the RPF-120 Reference Power Conditioner, and immediately the sound was back to nine tenths of what it had been. The results were anything but insignificant. Back was the black background and the textures, especially on the higher frequency range. Were they as good as the XLO cables? No but they sure were a lot closer than they should be considering the prices. The power cables are extremely stout and the power conditioner is a very well made piece. Both the power cables and the conditioner are so affordable that anyone looking for a good power conditioner and power cables for an upgrade on a budget need look no further than the Grant Fidelity RPF-120 Reference Power Conditioner and the PC 1.5 Performance Power Cables. They are not going back to Canada! 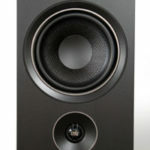 The RCA 1 Performance Interconnects and SPC-2.5 5n Copper Performance Speaker Cable are also a relative bargain and would work very well in systems costing much more than this particular system. Mated to the Grant Fidelity system they really brought the whole package to a high degree of High (Grant) Fidelity. When properly matched to the right set of speakers this system will give any listener, from the new audiophile looking to get in the Hifi hobby on a budget, to the seasoned vet such as me, a very satisfying listening journey that will continue to please for many a year to come. Oh by the way, Grant Fidelity sells speakers, too. I could see this system rounded out by a pair of the GF-MBS-1 speakers ($1280) or a pair of GF / Shengya V218 two-way horn loaded tweeter speakers ($1900), giving you a system that you could live with indefinitely at around $5000 complete. As a matter of fact, with the savings, you could invest in a fairly nice vinyl rig and experience this system at its best. Now that REALLY ROCKS!!!! Approximately two weeks after finishing this review, Grant Fidelity sent me a complete set of new and upgraded tubes. How upgraded you ask? I was sent a brand new pair of TJ Full Music 300B/SE Special Edition Premium tubes along with a new set of Shuguang Treasure ‘black bottle’ 6CA7-Z, and a nifty pair of TJ Full Music gold-pin box plate 12AX7s. The new set of tubes alone cost $1135. That is 70% of the cost of the A534B itself. My first initial thought (isn’t first and initial the same thing?) was, “This better make a whopping big improvement to justify almost doubling the price of the unit!” Not to worry. It not only made a difference but it made a huge difference, so much so as to say this was not the same amplifier any longer. That is saying quite a bit considering how well this amp, in its stock configuration, works. The new tube package is comprised of TJ Full Music and Shuguang tubes. So it is probably a good idea to fill you in on the tube manufacturers themselves. Both TJ Full Music and Shuguang are located in China. Shuguang is the oldest and largest tube manufacturer in China, established in 1958 by engineers educated and trained in the United States in the 30-40s. Shuguang’s vacuum tube production accounts for 40% of the world’s total tube output nowadays, either under their own brand “Shuguang” or under OEM brands. Generic Shuguang tubes come in clear glass enclosure. The Treasure series comes with carbon compound coating inside the tubes making them appearing to be ‘black bottle’. They were released in Dec 2008 to celebrate Shuguang’s 50th anniversary. TJ Full Music was established in 1990s by one of the pioneers of Chinese vacuum tube industry. To date, the company is still run by the founder, Mr. Zhesheng Liu, who is in his 70s, and his son who is also actively involved in day-to-day business. In the past decade, TJ Full Music 300B tubes (also distributed by Sophia Electric under their own brand) has earned solid reputation in the international hi-fi market and has been reviewed by many major hi-fi magazines. The TJ Full Music 300B/SE tube is considered one of the best 300B tubes in production today. Usually, a change in tubes brings about subtle changes in dynamics, grunt, clarity or other noticeable changes. Having had tube amps for over 15 years now, I have grown accustomed to these subtle changes when changing out a set of tubes, especially the driver tubes. I also have to say that, in my experience, I have never heard such a significant improvement over sound that was already quite good with the existing tubes. The very first thing I noticed was that everything was delivered with significantly more power, authority and overall slam. Not subtle either but rather “in your face” better! To recap my earlier assessment, the A534B is a great sounding 300B integrated but at 10 watts per side it is not a powerhouse. Consequently it is rather polite even when you turn up the volume to gain a higher SPL. With the new array, the amp developed a whole new level of slam and kick that I just did not think I would get from 10 watts. I immediately noticed it in the stronger delivery of bass notes and percussive instruments. The kick drum actually produced “kick”, as in seat of the pants kick, not usually a strong suit of 300B tubes. The midrange magic was still there but even more so. It developed a more precision delivery of vocals with a bit more clarity and air around the notes. The physical separation of the players became more defined, and the soundstage overall became a bit more 3D. On Rickie Lee Jones’ “Flying Cowboys”, the male backup singer’s voice during the chorus was brought a bit more to the front of the mix. I was able to hear it as a distinct and separate voice in addition to, rather than under, RLJ’s voice. That was a first as his voice always seems to be buried beneath the chorus’. On Keb MO’s “More Than One Way Home”, the kick drum had a very pronounced kick and bloom with a sharp report as the mallet struck the skin. Cymbals produced a cleaner and sharper attack and decay. Overall “sharper” seems to be a very appropriate description, it is sort of like that sensation of “I don’t know what it sounds like but I will know it when I hear it”. It just can’t be adequately described in any other way than to say the A-534B becomes a whole new and different amp with these tubes.